Disclosure: This event and trip to LA was an all expense paid journey sponsored by Disney. All thoughts, experiences are 100% my own! National Fire Prevention week starts today, October 5th, and runs through October 11th. 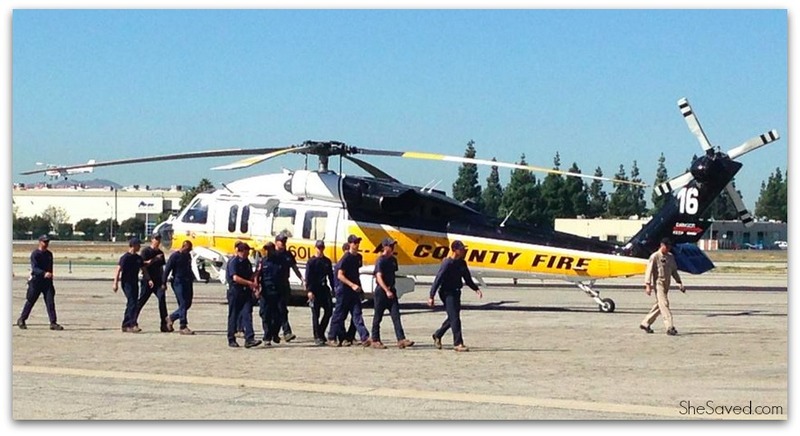 While I was in LA a couple of weeks ago, I had the opportunity to visit the Van Nuys Tanker Base to learn more about fire safety and the men and women that work so hard to protect and serve. Above is a photo of Assistant Fire Chief Steve Martin who spent the morning with us, sharing his thought and expertise on fire safety. 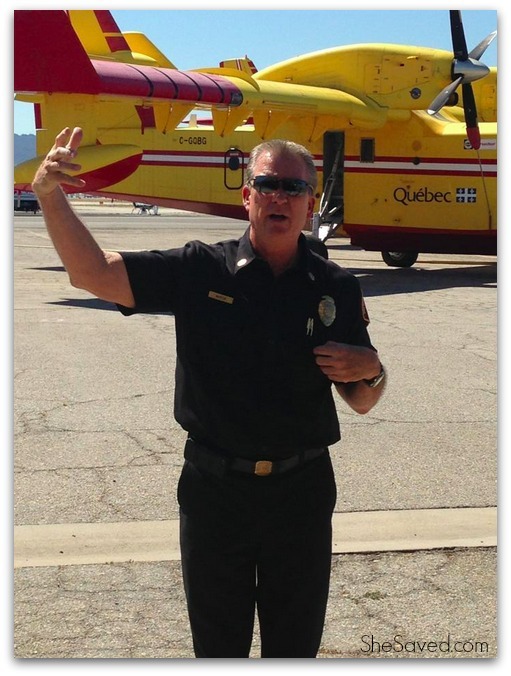 He was also very instrumental in helping to educate the film makers of Disney’s PLANES: FIRE AND RESCUE movie. So instrumental, that he is even mentioned in the credits of the film! What I love most about this film is that it helps to further education the public not only about fire safety, but about the men and women who work so hard to protect us all. I think that Chief Martin is pretty proud of that too, and that is why National Fire Safety Week is so important because the more that we know, the more that we can do to keep our families and neighbors safe. 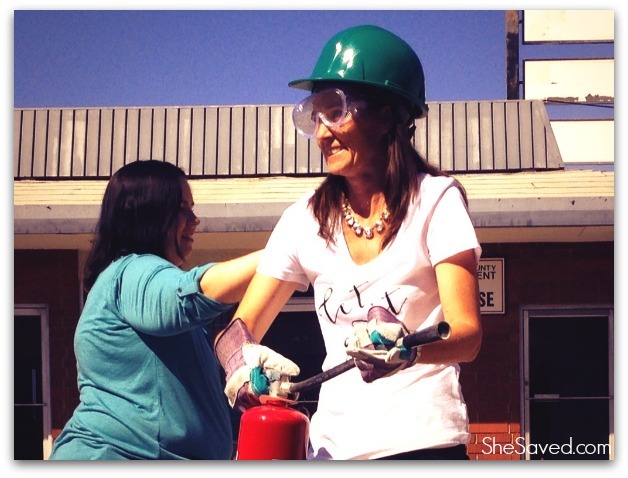 I was able to do a little fire training myself. 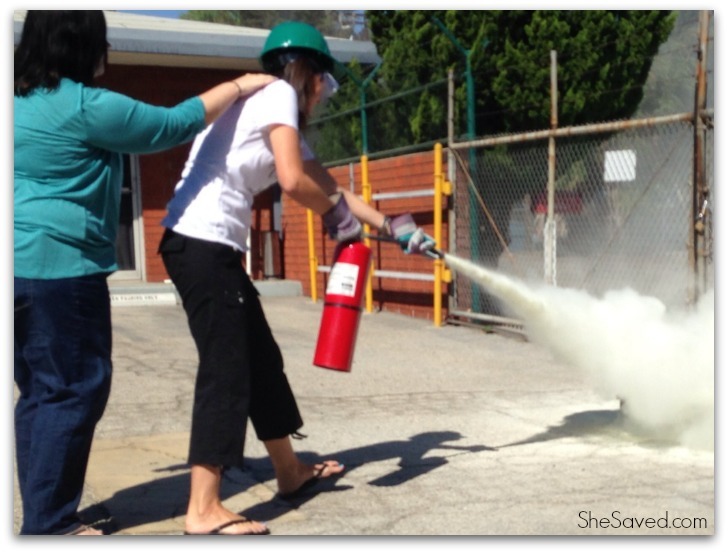 Coached by one of the fire experts at Van Nuys, we were shown how to approach a fire with an extinguisher and safely and proficiently put out a fire. This is done by using a buddy system and my friend Kass from a Southern Bellas Ways to Save, had my back as we went in and put out the fire and then slowly retreated. One interesting thing that I learned is that when you are using an extinguisher on a fire, you don’t aim the stream at the flames because aiming at the flames are almost like aiming at a shadow. The flames are NOT the source of the fire. 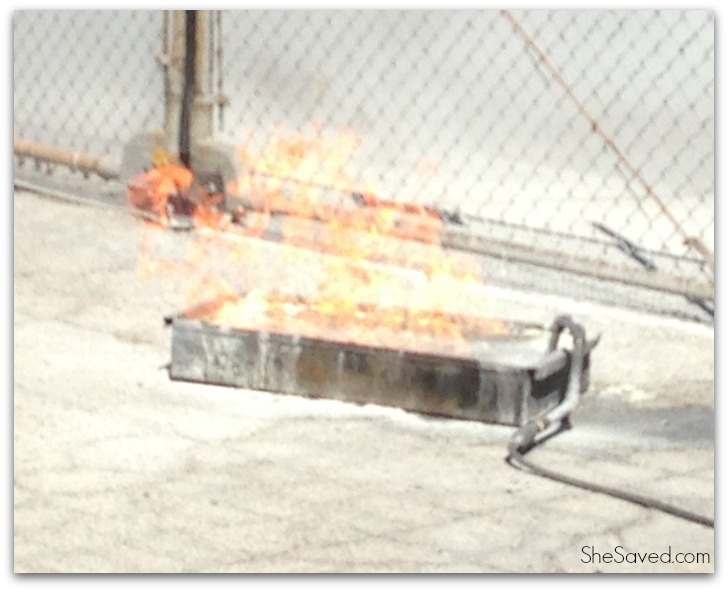 You want to aim your stream at the base of the fire, which will get the fire out quickly. Also, NEVER turn your back on a fire because fire can change quickly and fiercely and get out of control before you realize it. The most important message for National Fire Prevention week is that every family should have a fire prevention plan. 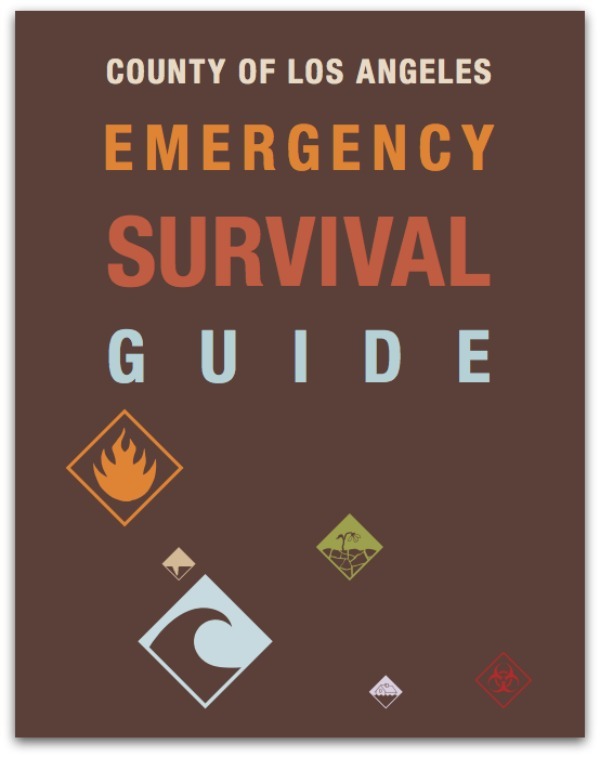 The folks at Van Nuys Tanker Base shared with us the Emergency Survival Guide which you can print out here. It includes amazing tips and guidelines and even some wonderful worksheets for making a plan for YOUR family. 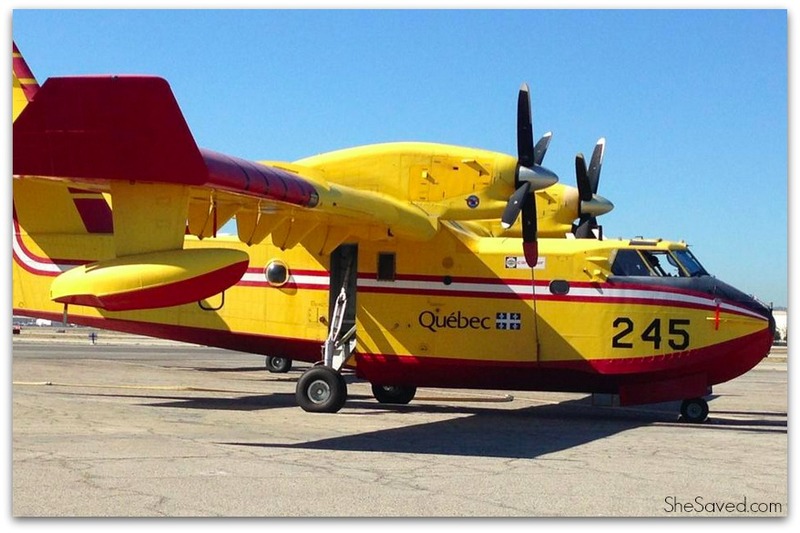 You probably recognize a couple of these planes from characters in Disney’s PLANES: FIRE AND RESCUE. I will soon be sharing more about how these planes contributed to the making of the film which will be available for purchase on November 4th and you can actually pre-order it on Amazon right now! 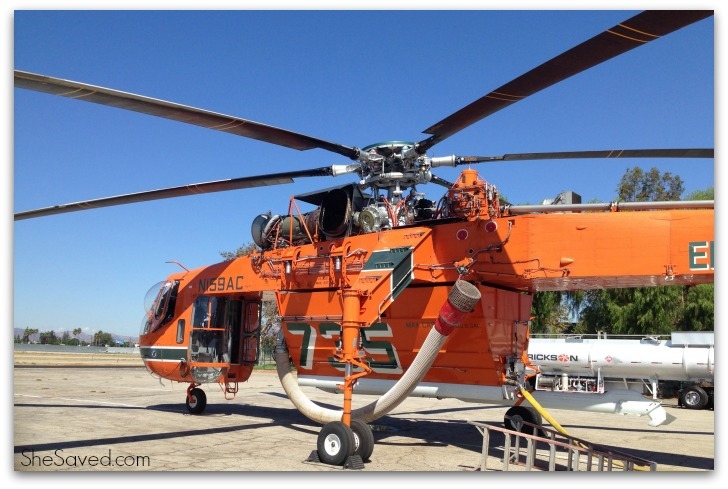 Make sure to follow along with all of the Disney Planes Fire & Rescue excitement! 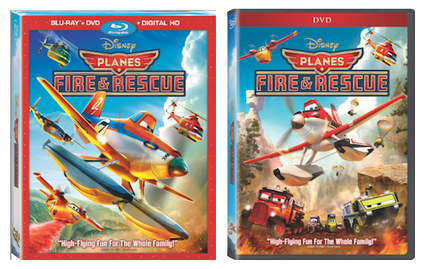 Disney’s PLANES FIRE AND RESCUE flies into theaters everywhere on July 18th! Make sure to check out my post about the time that I spend interviewing Julie Bowen (the voice of Dipper), my time in the recording studio voicing “Dipper” from Planes Fire & Rescue, the time that I got to sketch with the Disney artists from Planes Fire and Rescue and my behind the scenes interview with Jeff Howard and Paul Gerard and of course, my interview with Bobs Gannaway (Director) and Ferrell Barron (Producer). And a huge thanks to the folks at Disney and Van Nuys Tanker Base for this wonderful and unforgettable experience, something I will never forget!